Stanley ProDex Gloves With Goatskin Leather! Only $9.99! Ships FREE! You are here: Home / Great Deals / Christmas Deals / Stanley ProDex Gloves With Goatskin Leather! Only $9.99! Ships FREE! 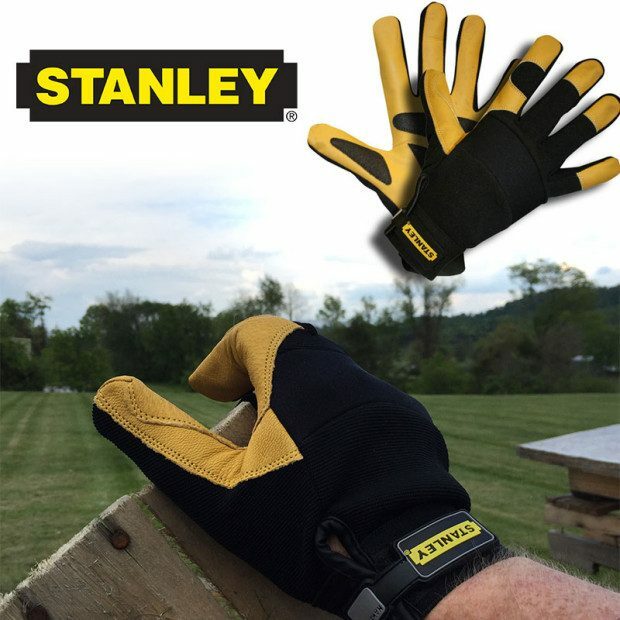 Order these Stanley ProDex Gloves With Goatskin Leather! Only $9.99! Add optional Thinsulate lining for $0.99 more. Ships FREE!! Quantity discounts available! Not only are these a great value and a great glove but they will also make a great gift for all the men in your family! Your hands will feel great no matter what task your working on when you’re wearing ProDex goatskin gloves by Stanley. Featuring padded reinforced palm, thumb and fingertips; these gloves are built to help you complete the tough jobs. A neoprene knuckle patch; stretchable spandex back and neoprene wrist allow for a secure fit and lets the glove move with your hand and optional Thinsulate lining adds warmth with virtually no extra bulk!! Click here to check out more Great Deals!